2014 has been another eventful year here at Nell's Farmhouse. We held a number of events throughout the year but the one we are most proud of this year is our "Traditional Irish Wake Re-enactment". In 2013 we held our first wake re-enactment as part of Heritage Week. On the back of the success of that event we decided to expand on it for 2014 to include the reading of the will. The 2013 crew were rounded up again with a few extras, the script was written and plot was set. So on the 31st of August at 8pm it was show time. 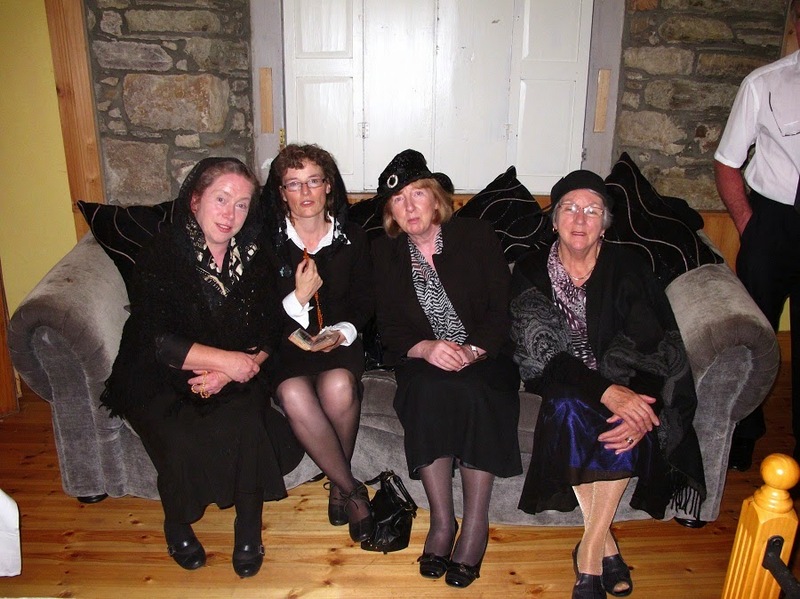 Poor Pattie Murphy was laid out in the parlour for the wake. The crowds came to give him a good send off. They came from far and wide, Carrick, Dublin, Kilkenny and even Australia to pay their respects. After everybody paid their respects to the chief mourners - Patties wife Hannah, his brothers TJ and John Joe and the workman Jimmy (who was like a son to him...) Fr. O'Shea said the prayers then everybody gathered in the kitchen for the reading of the will. Solicitor Michael Prendergast officiated over proceedings. There was great speculation as to who would inherit the extensive farm owned by Pattie. Things took an interesting twist when it came down to the big business of the evening resulting in Jimmy the workman being the heir to Patties throne. Following this big shock to all drinks were had and stories were told with a few songs thrown in for good measure around the open fire. Last years event was a runner up in the most innovative event award category in the Heritage Week awards. This year Irish TV decided to come along and film our event to be broadcast on their Waterford Matters show. We were over joyed when we discovered that our event won the Best Interactive Event award nominated by The Heritage Council. 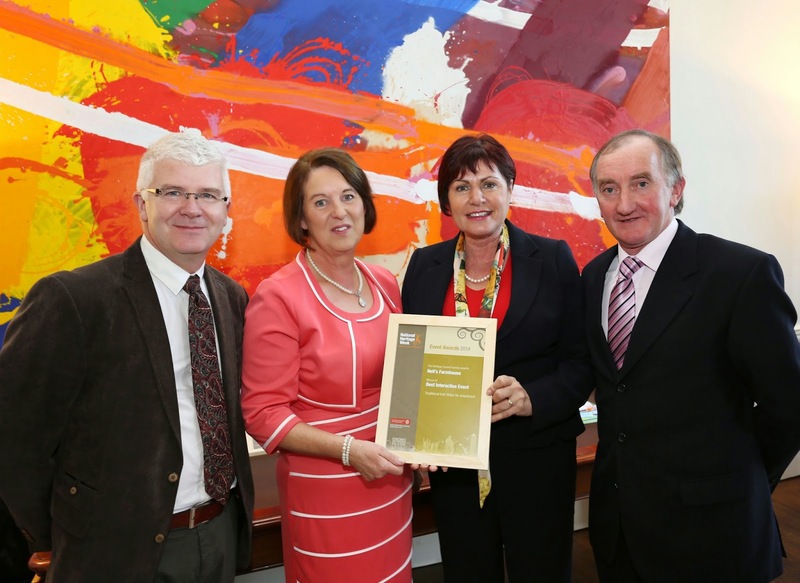 On the 5th of December we went to the Heritage Council Offices in Kilkenny to accept the award. This was a great honour. We would not have been able to achieve this without the help of our wonderful friends and family. We would like to take this opportunity to thank everybody that was involved. We look forward to next years event.